Mahjong Solitaire is a free mahjong matching game - the best choice of Mahjong on Android! It’s FREE and EASY to play! Can you solve every Mahjong puzzle?LEARN MORE ABOUT Mahjong Solitaire▶ Mahjong solitaire become one of the most popular free board game all... see more Mahjong Solitaire is a free mahjong matching game - the best choice of Mahjong on Android! It’s FREE and EASY to play! Can you solve every Mahjong puzzle? 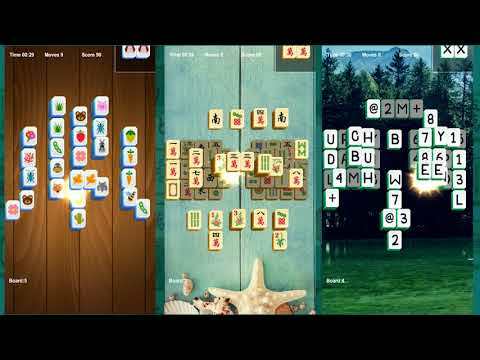 ▶ The innovative new version of Mahjong Solitaire with simple rules and addictive gameplay: Match pairs of identical mahjong tiles (connect the same mahjong block), clear all the mahjongs,Win! Make a blast in Mahjong Solitaire! ️ Stunning graphics and unique mahjong gameplay. If you love puzzle, strategy, memory, and brain training challenges games you’ll love Mah-jong! Challenge your brain by strategy and logic with this amazing brain puzzle game! Develop your mind and patience and strategy skills! Download the best free Mahjong matching game in Android market now!